Gone are the days of fancy buildings, huge newsroom, studios, fact checkers, editors–the whole hierarchy of major news organizations. Does this mean there’s no more news in print, on the web, or on TV? But the business case for major news organizations is long gone because almost every one of them is already dead. Death by a thousand cuts. Cuts to critical staff resources including research, fact checking, and editing. They just don’t recognize it. Or perhaps they don’t want to recognize it. We all know major news organizations are dead because, with very few exceptions, the basic facts in many of their reports are simply wrong. Pick a subject you know a lot about and then read an article or watch a video about the subject by a major news organization. Didn’t get the basic facts right did they. And that leads to a lack of trust: if the major news organization can’t get basic facts right about a subject you understand, what other important errors are being reported about subjects in which you don’t have an extensive background? Plus, the news business model is in a race to the financial bottom–one that’s tenuously supported by an antiquated and expensive advertising revenue stream. Which will undoubtedly lead to more personnel cuts and the acceleration of their failure. Just as a dead tree in a forest supports a new ecosystem, the death of major news organizations–New York Times, Scientific American, Wall Street Journal, NBC, CNN, Fox News–is leading to a renaissance in who we trust to report factual news. The kind of news that doesn’t provide speculation, opinion, startling headlines, and the politicization of everything. If I have a question about government, technology, travel, or local events I look at my contacts for people who are experts in an area and I ask them directly about a topic. Many times they’ve already posted a blog article or YouTube video on the topic. It’s factual, accurate, and sans speculation. Similar headlines were reported all over the news spectrum. As an engineer, I was interested. 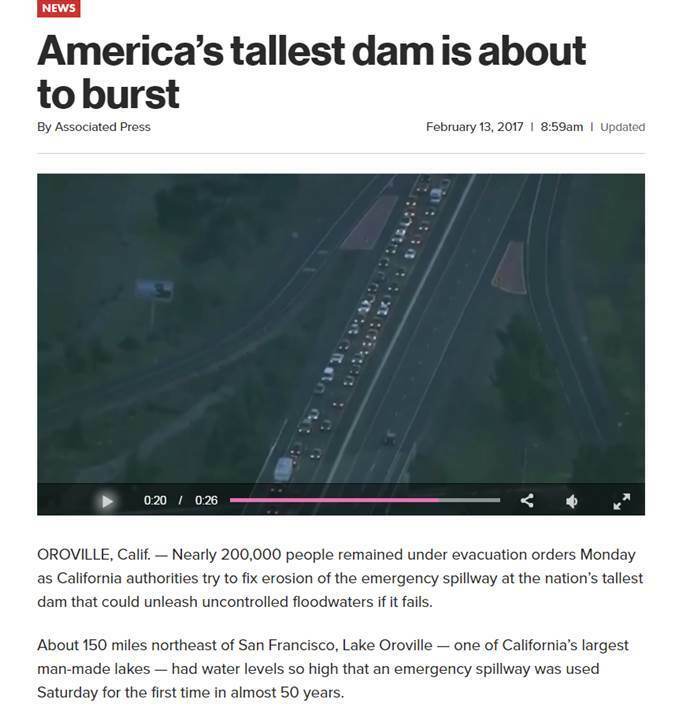 So I read news accounts, watched video, and researched historical information about the dam. No surprise: the mainstream news had it wrong. Who is getting it right? Juan Browne . He’s a commercial pilot who happens to live near the Oroville dam. While pilots aren’t engineers, geologists, or scientists, they do have a technical background from both education and experience. And Juan demonstrates exactly how to do it right: factual information, research from a variety of sources, data analysis, and follow-up. When he doesn’t know something, he tells us. When he obtains corrected information he tells us. He doesn’t speculate. He’s a one-person reporter who is outperforming all of the major news organizations. With his level of commitment to getting it right, 18,000+ people trust him on YouTube. Juan and people like him are the future of news. They also demonstrate a business opportunity: The Interested Specialist. Is it a Sustainable Business Opportunity? Check out Juan’s Patreon account for a demonstration HERE. Contribute to Juan and people like him if you want factual news. Want to make a living from reporting the news? Emulate Juan. The world needs more people like him.